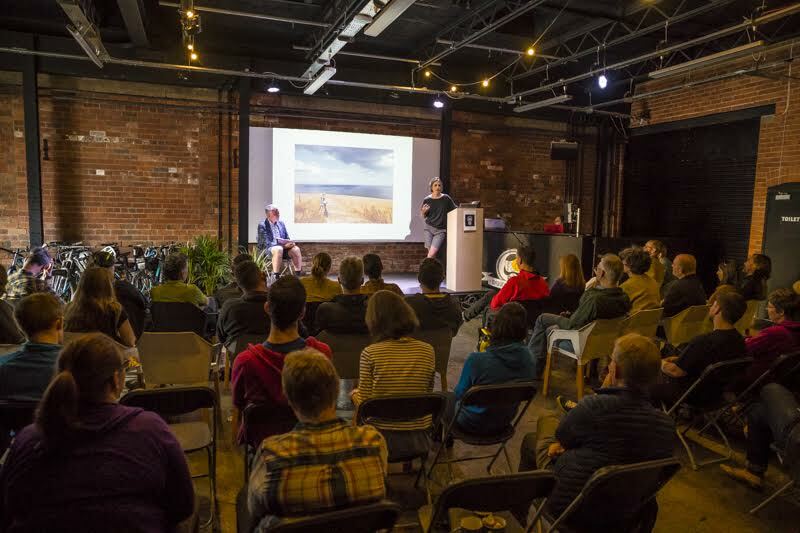 The inaugural Pedalling Ideas weekend in Leeds gathered together an eclectic collection of speakers. Adele Mitchell was there. Organiser Ian Street had assembled a stellar line up of speakers including Tom Hill, Rachel Sokal, Chris Garrison, Brant Richards and Jet McDonald. Discussions over the two days covered everything from bike building to performance, from adventure riding to philosophy. Meanwhile – and possibly the most hipster thing ever – artist Phil Dean (‘the Shoreditch sketcher’) live sketched proceedings via Instagram. 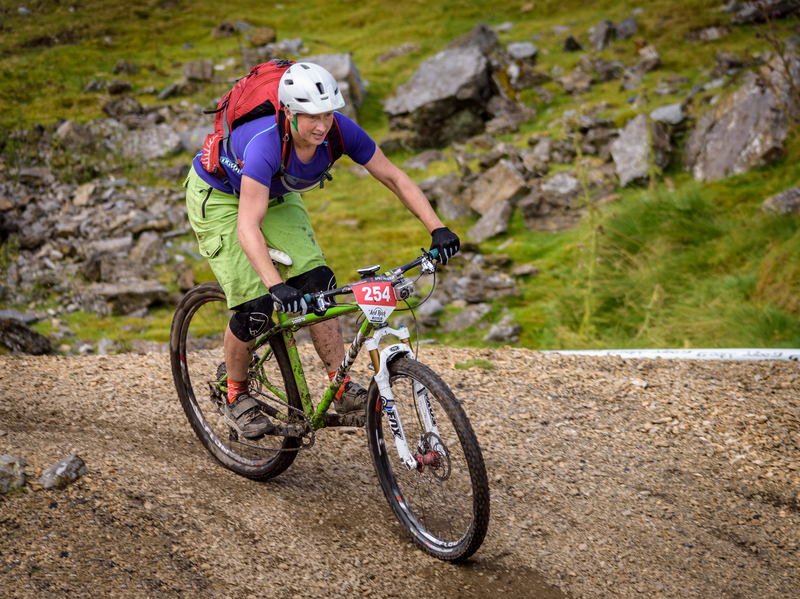 My own – possibly slightly less stellar – talk was based on Tracy Moseley’s quote that ‘Mountain biking is not just a boy’s sport anymore’. In it I discussed the joys of being a female rider, as well as the barriers to participation that can hold women back. Thanks to everyone who laughed at my jokes and clapped when I finished. 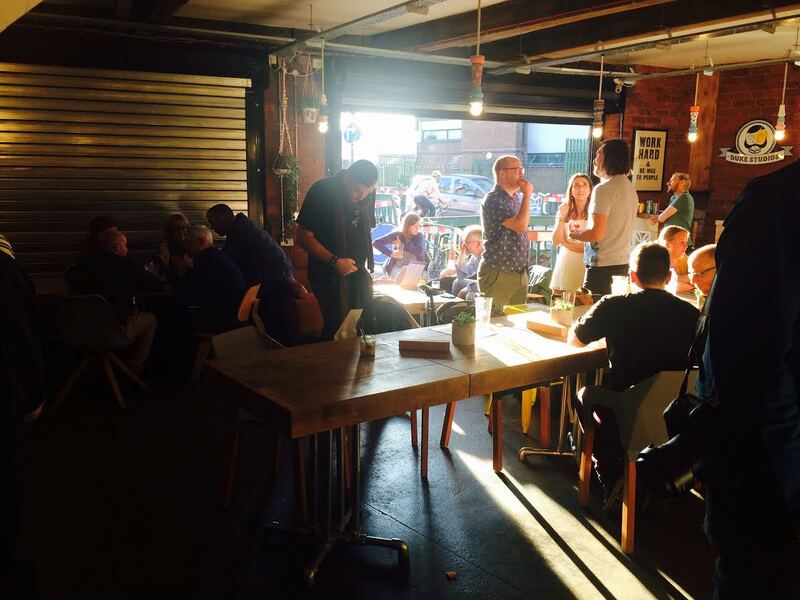 At the end of the day the neighbouring café/bar became a hub for everyone – speakers and audience – to share stories and enthusiasm over a beer. 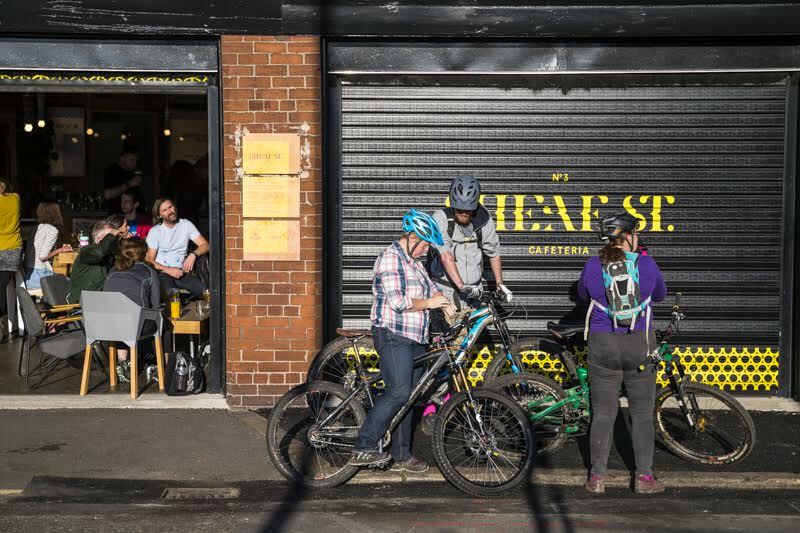 The sun shone, the mood was mellow and friendly: it seems we like talking about bikes almost as much as we like riding them (and I’m sure this level of enthusiasm is not limited to Leeds – which is why it would be great to see this event ‘on tour’ in the UK!). Pedalling Ideas was a fund raiser for the hospice in Leeds that cared for Jenn Hill. 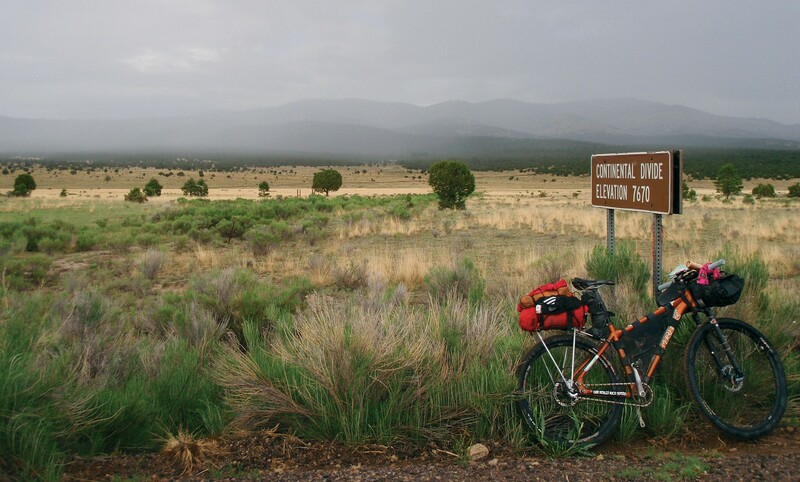 I continue to be inspired by Jenn’s work in my archive of Singletrack magazines: she was a trail blazer and a gifted writer and editor. As a freelance journalist, I’m also grateful for the opportunity – albeit too brief – I had to work with her. It was a privilege to take part in an event that was associated with her memory. 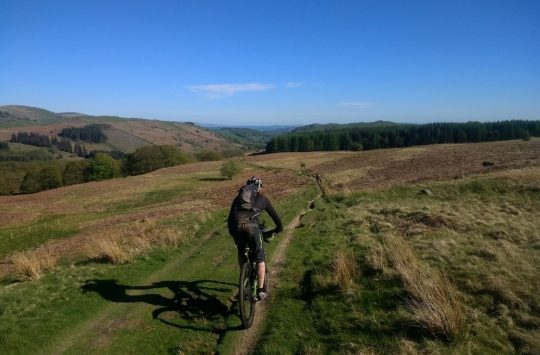 Jennride 2018: the perfect Lake District weekend? That’s Jenn’s old Pace frame too.